Micromax is going aggressive in the mobile market. They recently launched number of budget smartphones, and now plans to launch new flagship device. Micromax Canvas Gold A300 is the upcoming flagship device by the mobile giant. The phone will feature a 5.5 inch Full HD display and railway running on 2GHz Mediatek MT6592 octa-core processor. 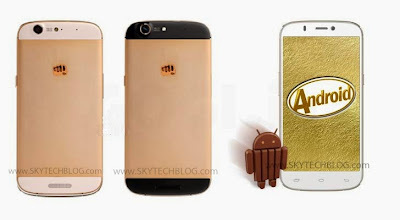 It is expected to run Android 4.4 KitKat out of the box and said to have a full aluminium body in gold colour. The accessible in-built storage will be around 25GB and it will also have 2GB of RAM. 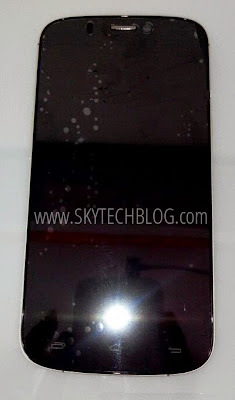 It will be the thinnest phone by Micromax coming at just 6.9mm. 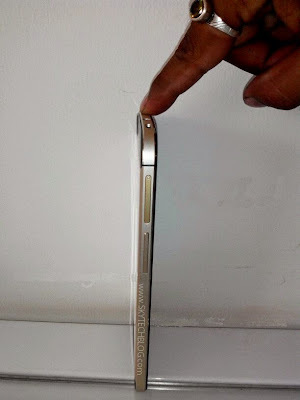 Update:- 1 More image added showing the thickness of the device. ● 3G, WiFi 802.11 b/g/n, Bluetooth, GPS. 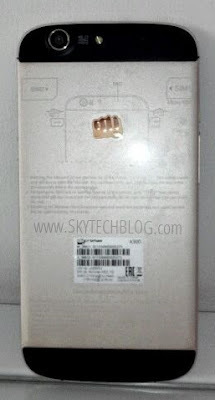 Micromax Canvas Gold A300 is expected to launch on 16th June. Micromax has already scheduled a launched event on 16th June. The pricing is not yet available but it is expected to be priced under Rs. 23000. Micromax may launch Windows 8.1 device at the launch event alongside Canvas Gold A300.